Electrical To-Do List? 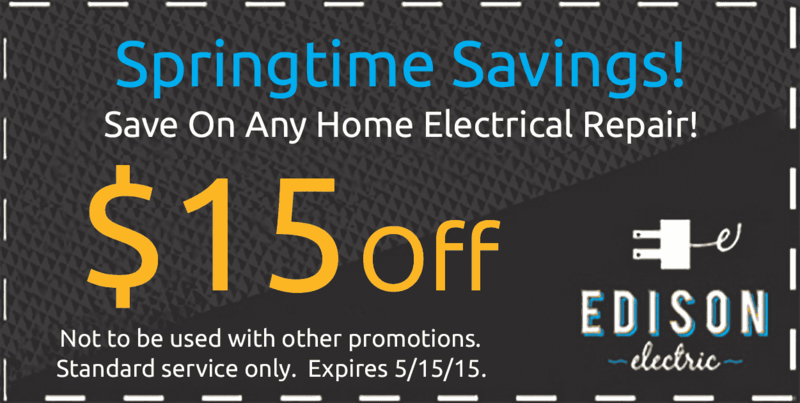 Edison Electric Can Help! Springtime is the time of year where checklists get made and stuff at home is supposed to get done. Cleaning the garage, organizing the basement, cleaning the screens, getting rid of stuff etc, etc, etc…! The list gets long. Fast. Don’t be afraid to delegate the electrical portion of your list to the pros at Edison Electric! There is no job too small for our licensed electricians. In fact, we love those small service calls for replacing a broken outlet or hanging a new light fixture. So save yourself some time, and let us worry about those small electrical items! 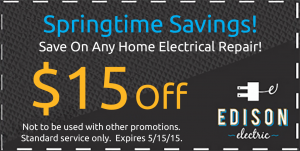 Relax… Call Edison Electric Today!